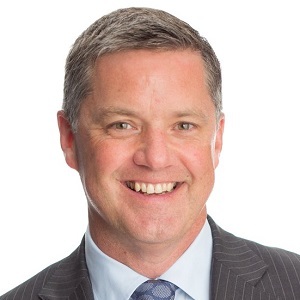 Vancouver-based American Hotel Income Properties REIT (HOT-UN-T) announced Wednesday morning the appointment of John O’Neill as its new CEO. John will succeed his older brother, Rob O’Neill, in the position on Oct. 1. Rob will retire from the CEO’s post, but will remain on its board of directors. “We are pleased that our international search and selection process has concluded with the appointment of John as chief executive officer. He is an impressive hospitality professional with significant experience in the United States and possesses deep institutional knowledge of AHIP’s portfolio,” said Michael Murphy, chair of AHIP’s board of directors, in a prepared statement. John O’Neill has 30 years of experience in hotel investment, development and management. He oversaw the management of AHIP’s hotel operations as the portfolio grew from 32 to 115 properties across the United States during the past six years. AHIP had a particularly active first six months of 2017, when it acquired 23 hotels, concentrated mainly in the Northeastern U.S., adding a total of 2,187 rooms to its portfolio. Those acquisitions represented an outlay of US$589 million. O’Neill also served as president of ONE Lodging Management Inc. until Aimbridge Hospitality assumed AHIP’s hotel management duties in April. The board considered O’Neill’s understanding of the U.S. hotel industry and thorough knowledge of AHIP’s hotel portfolio in making its selection. “I am excited and grateful to have been selected by the board to take on this unique leadership opportunity with AHIP, and look forward to working with our team and Aimbridge in delivering sustainable, long-term growth, to drive cash flow and enhance the value of our company for our investors,” O’Neill said in the statement. Among John O’Neill’s key responsibilities will be to identify merger and acquisition prospects, and capital recycling strategies to drive long-term returns for AHIP shareholders. Rob O’Neill was a co-founder of AHIP and has served as its CEO since its inception in 2012. One of his accomplishments has been to diversify AHIP’s portfolio, adding 67 hotel properties during the past five years. It currently owns 115 properties under various brands across the United States. “After 46 years in the hotel and hospitality business, I would like to thank the thousands of associates, executives and business partners who have made my career possible and look forward to spending more time with my family in active retirement,” said Rob O’Neill, in the release. The two O’Neills were brought up in a business environment starting with the family’s Rail Catering Ltd., in the 1950s, which provided food and beverage services to Western railway companies. Today, they also operate O’Neill Hotels and Resorts, a hotel investment, development and management business started by their father Jack O’Neill. The two brothers – the youngest and oldest of seven siblings — joined that business in 1985.